Jo Baker’s Longbourn is everything that a Pride and Prejudice retelling should be – true to Austen, romantic, sensitive, thoughtful and, importantly, original. Bringing a new spin to our beloved Jane Austen’s creation, Baker has spun a story that is so separate and new from the Darcy/Lizzy love story, but that provides you glimpses of the original from a removed viewpoint. Think about this: Who has to wash Elizabeth’s petticoats after she has trudged through the mud? 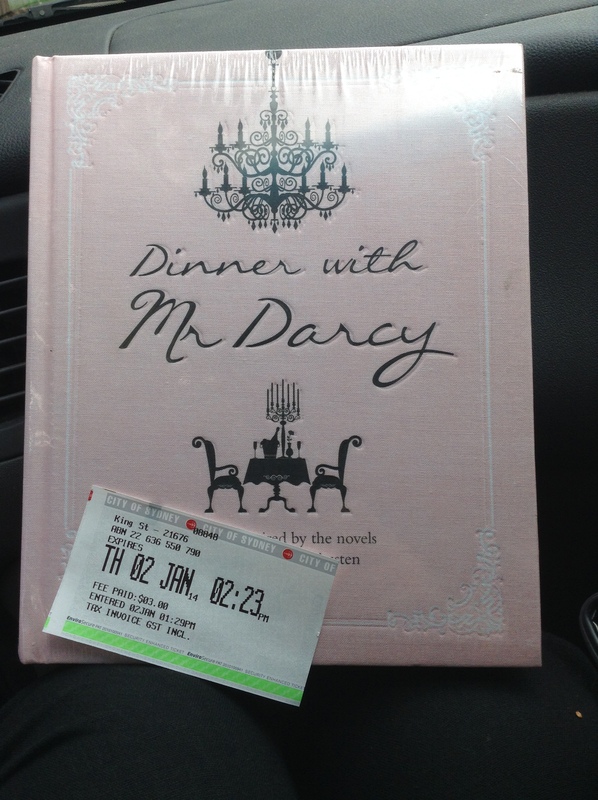 All of our lives would be benefitted extraordinarily from learning a little bit more from Jane Austen. If we all acted with as much propriety, gentility and with as many manners as some of our favourite heroines (who, even in their most awful moments, are really not that bad), then we wouldn’t go far wrong. 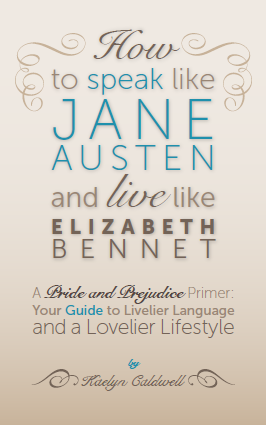 This new book is certainly going to be a huge help in providing us some life instructions to speak, and live, more like our beloved Regency characters. 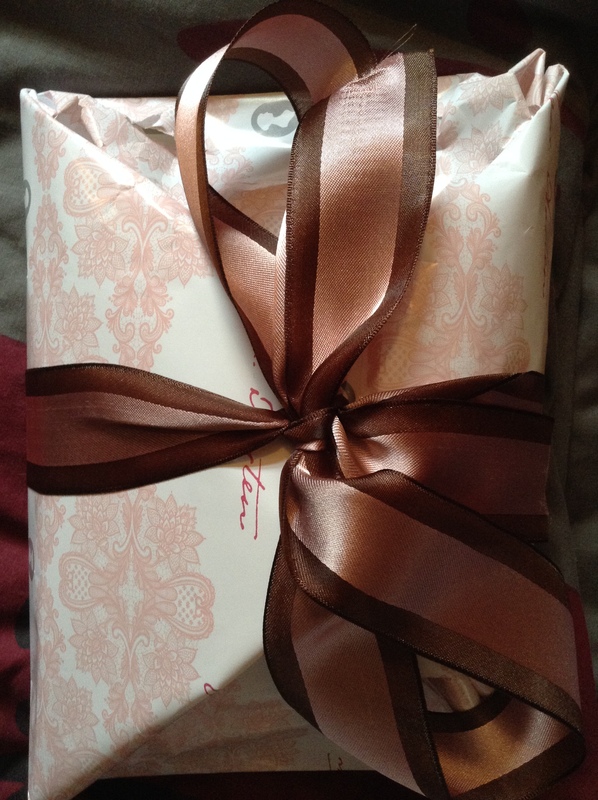 It’s a brand new year, and Christmas was especially kind to me – with gifts coming from my girlfriend in the shape of a number of Jane Austen goodies. But the real treat was coming home for two weeks to Sydney, where my family, friends and partner live, and spending time with them. If there’s anything Jane Austen would want us to take from Pride and Prejudice (and you may have heard me harp on about it enough) it’s that family you have, and the family you also choose to make for yourself, is incredibly important. Now I’m back in Sydney and making the most of the wifi, I thought I’d take a look at some of the games cropping up to play. I found this one. It’s called ‘Stride and Prejudice’ and it’s the simplest, but most addictive, thing in the world – and just $0.99(US) from No Crusts Interactive. 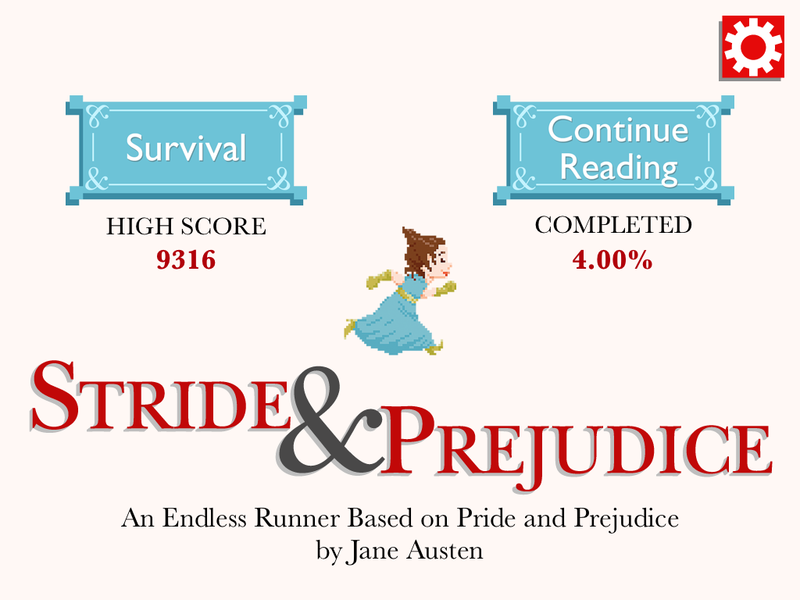 Described as an ‘endless runner based on Pride and Prejudice by Jane Austen’ it’s essentially a mix between your typical ‘jump onto each platform as the screen moves’ and enforced reading of classics. It works on the iPad, iPhone and iPod touch. There’s a brand new iPad and iPhone app game out today (to coincide with Jane Austen’s birthday), that I’m pretty much convinced all Pride and Prejudice fans will adore. It’s called Regency Love by Tea for Three Studios. I downloaded it on Saturday using a promo code for a preview, and have already got my first Regency lady to the end of the game (marriage, and 100 points for all of the accomplishments). 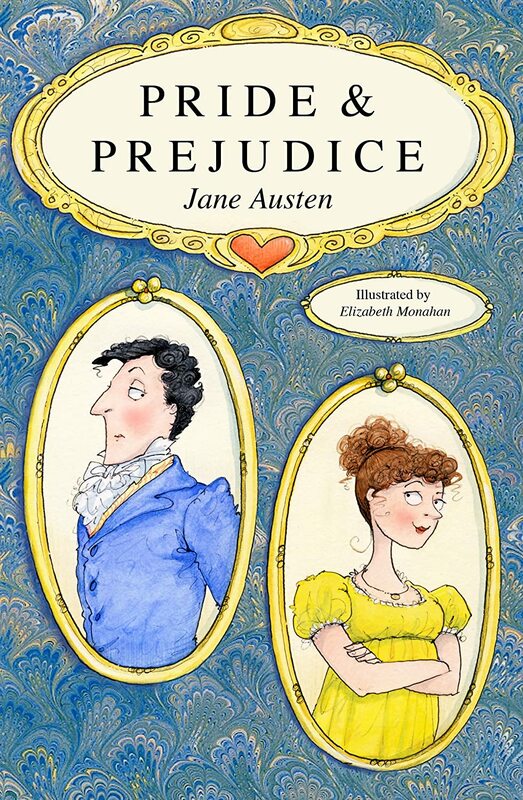 When I was looking for more covers to show you in my latest Top Five Pride and Prejudice covers, I stumbled across a self-published beautifully illustrated eBook version by artist Elizabeth Monahan. 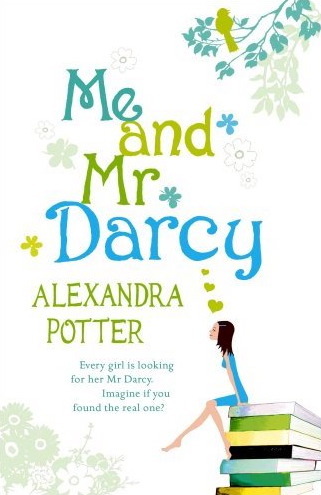 The gorgeous cover, below, has a slightly quirky style to it with Lizzy and Darcy obviously at odds. I was completely struck by it, and decided to contact her to ask more about where her ideas come from, and if we are to expect some more of her art sometime soon. We have just seven days to help this project, and I’m thinking it’s worth it! With 1,219 Janeites currently behind it, the Kickstarter project ‘Ever, Jane’ also quickly becoming known as “that Jane Austen game” will not see the light of day without you. Unfortunately, wordpress won’t let me embed the Kickstarter video (you can see that on their fundraising page), so I’ll show you what you can do via this hilarious youtube video instead.